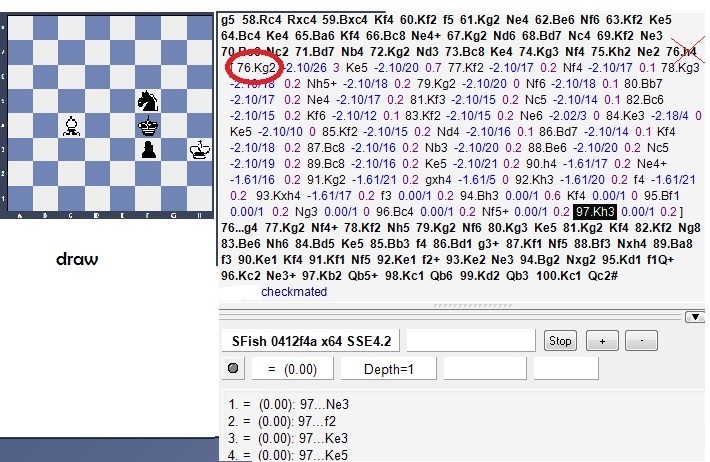 @mcdiniz wrote: hi folks, I wonder if it is the team Stockfish or if it is the compiler Jim Ablet, who are in trouble? ... because I think they don't like much of AMD processors ..., no version of the update or release 2.2.2, sse42 works in AMD processors, incredible not? I know that you can fix this, because not everyone we have intel processors, a big hug. You need to buy an Intel processor. 4- go deeper reaching Depth=30 sometimes. Vladimir wrote: Thanks to all... Tord Romstad, Marco Costalba, Joona Kiiski, Jim Ablett and Quocvuong82. 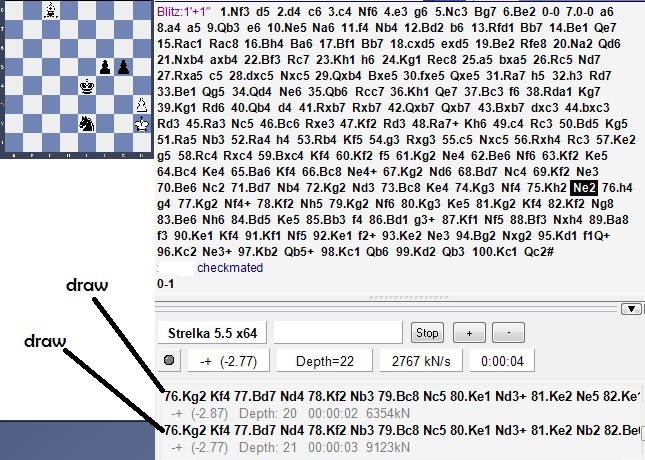 I will post the results after each 500 games. 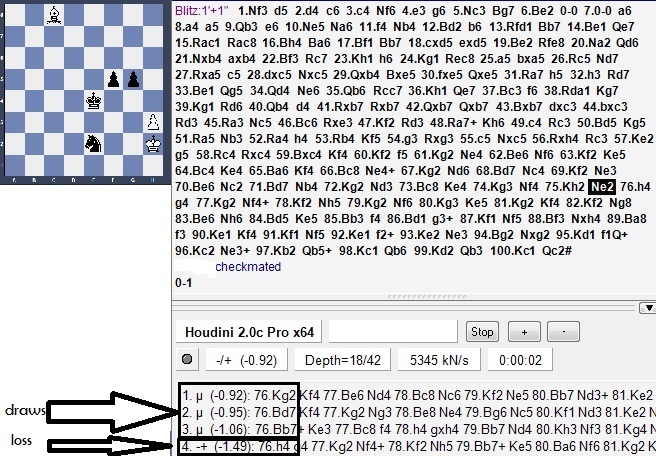 and the user defined operator^(Bitboard, Square). opposite_colors() and this triggers the error. 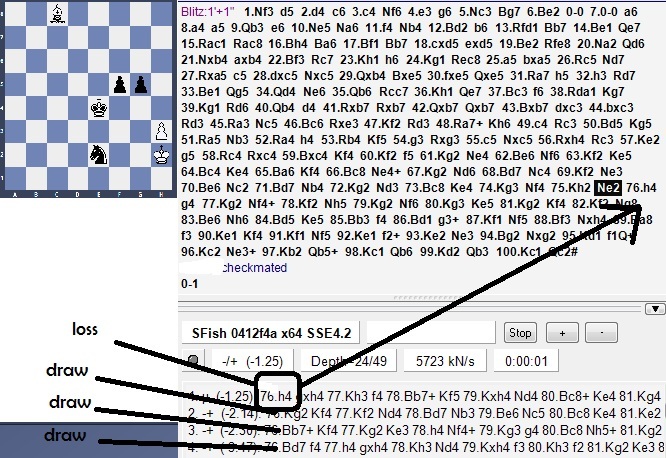 Stockfish 120528 vs. Stockfish 2.2.2 JA Match is over. 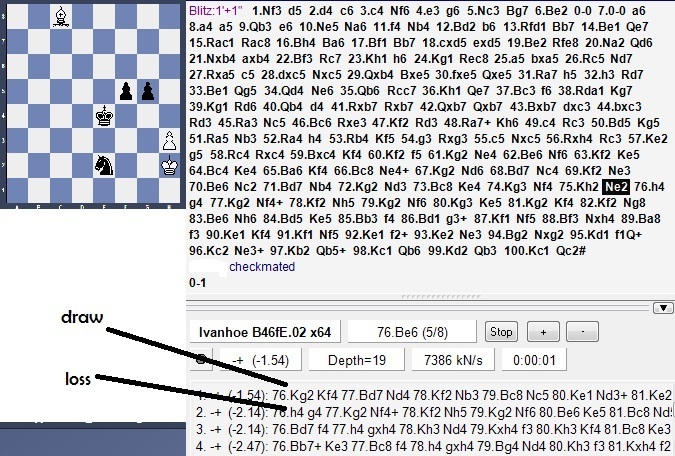 I played in Yahoo with Stockfish and I lost then I set this game position in Fritz to analyze it using 4 engines, stockfish - houdini - ivanhoe - strelka, and pressed analyze, stockfish was the only that made the bad move as soon as I pressed analyze mode and then I lost the game hehehe. @rufy-ace wrote: download of 120528c ? any news of new version ??? Gracias; es tan ràpido que por un momento creì que mi compu se habia convertido mas veloz.